As a Christian parent, your automatic response to this question is likely “a David.” After all, God called David a man after His own heart. What Christian parent wouldn’t aim for that? However, if we examine this question a little closer, some of us may find that what we really want is something else. Pharisees have quite a reputation among the Christian community. We associate them with legalism, rigidity and pride – and rightfully so. But if you were alive in Biblical times, you might have a whole different take on them. In Jesus’ day Pharisee’s were among the most respected religious leaders. They were righteous, law abiding . . . as close to perfect as you could get. Even Paul referred to his former life as a Pharisee as “faultless” (Phil 3:6). David on the other hand was a bit of a mess. He lusted. He committed adultery. He purposely deceived. He arranged a murder. He called for a census in direct opposition to God’s command. And he did absolutely nothing when one of his son’s raped his daughter, Tamar (see 2 Sam 13). This was the man after God’s own heart? This is who we say we want our kids to be like? But that is not what Jesus saw. He saw through the facade, right into their hearts. The key difference between the Pharisees and David was the condition of their hearts. David’s heart was messy and unkempt, at times full of his own desires and, at times, emptied out before God for Him to fill. David’s heart had room for God, softened by the remorse over his sins (see Psalm 51:4). The Pharisees, on the other hand, had hearts filled with their own righteousness – filled so full that there was no room for God at all. Their hearts, like their behaviors, were polished to perfection, into a shiny, impenetrable shell. We may say that we want Davids, but do we really? Are we concerned more with behavior that is right or with hearts that are right? Do we fear sin in our children? 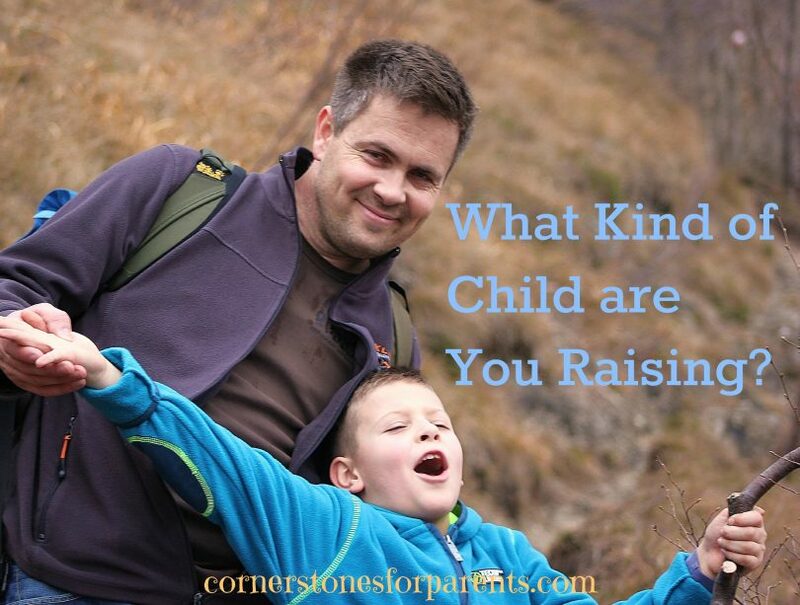 Do we worry about what our children’s behavior says about us as parents? Are we concerned about how our children appear before man or how they will stand before God? We can insulate, indoctrinate and regiment our children’s spiritual journey by restricting what they see, read or hear. We can control their prayer time, devotional time and behavior. All of this may produce a “good” Christian child – one who might make other parents think, “Gee, their kids are so good –they have it all figured out.” But without a focus on the heart, we may end up raising Pharisees instead of Davids. Take some time to pray today. Ask God to give you the strength and courage to raise Davids: full of faults, but whose hearts are soft toward God.